Pieces, Bonsai Bonsai, BTK Tyler, Ciulla, Fancies and In Wave. 9.30 pm, free entry with public vote and jury. Trevis Bertrand Cefalo, Michele Baldini and Francesco D'Elia conducting the orchestra. 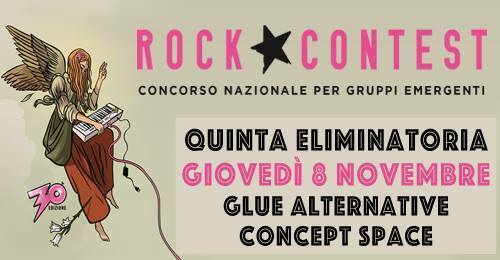 Rock contest, an initiative Controradio Firenze and Controradio Club with Comune Di Firenze and Regione Toscana. Sponsor: SIAE. Technical sponsors: Audioglobe, Sam Recording Studio and Dophix Guitar Effects.